The global groundfish market is expected to post a CAGR close to 6% during the period 2019-2023, according to the latest market research report by Technavio. As per Technavio, the growth of the online market will have a positive impact on the market and contribute to its growth significantly over the forecast period. This global groundfish market 2019-2023research report also analyzes other important trends and market drivers that will affect market growth over 2019-2023. 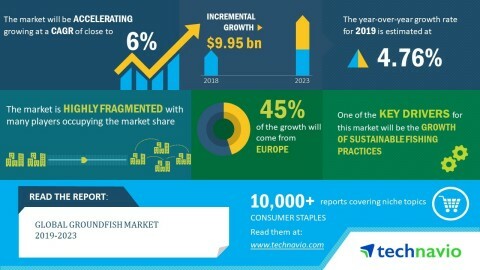 More From BioPortfolio on "Global Groundfish Market 2019-2023 | Growth of Online Market to Boost Growth | Technavio"